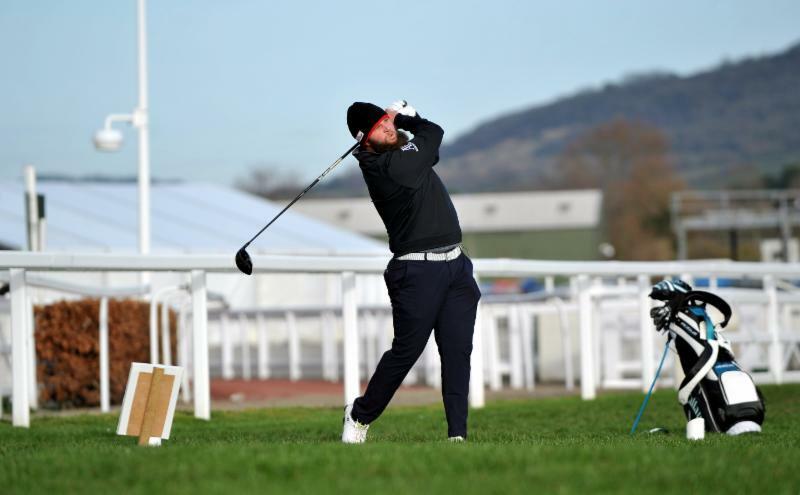 Known affectionately as ‘Beef’ since his youth and to all his fans, English professional golfer Andrew Johnston took part in an Extraordinary game of golf on Cheltenham Racecourse against 20-time Champion jockey Sir AP McCoy and ITV presenter and Grand National-winning jockey Mick Fitzgerald. 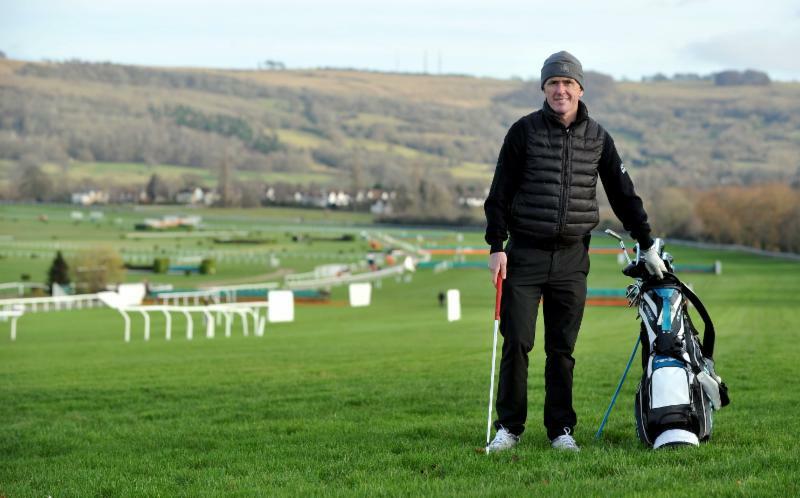 Beef was met by keen golfers AP and Mick for a game of golf on the actual Cheltenham Festival racecourse, where holes were laid and challenges were set. 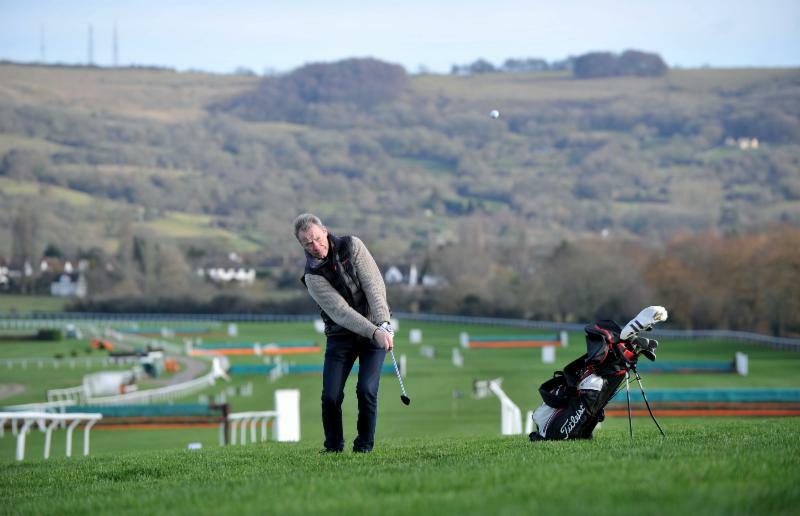 After being weighed out with their golf clubs in the jockeys’ weighing room, the first challenge was a putting competition nearest to the Gold Cup in the Parade Ring. This was followed by four holes on the course, which included the Cross-Country Course and finished with a Flop Shot lesson from Beef. Having been given a lesson in golf around the course, it was Mick and AP’s turn to give Beef a riding lesson and introduced him to the Equicizer. Like a duck to water and dressed in the famous green and gold-striped silks of owner J P McManus, Beef was given a riding lesson and impressed both legendary jockeys with his riding skills. 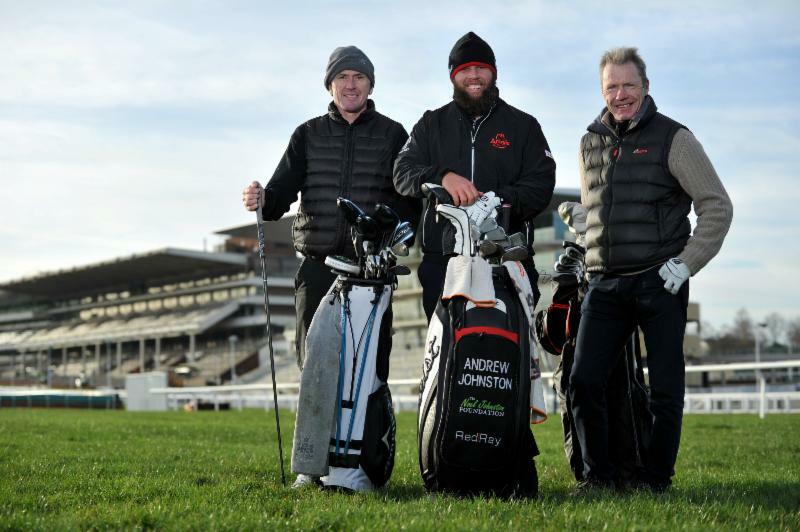 Andrew ‘Beef’ Johnston said, “This was only my second time at Cheltenham Racecourse and it was an honour to be in the company of two jockey legends. The first episode of The Extraordinary Tour followed Mick to the heart of the Cotswolds where he met TV presenter Lee McKenzie who surprised him with the original 1924 Gold Cup trophy. Mick’s next stop was to Ireland where he met with the dynasty of Mullins family followed by a tour around the home of Magners, the official partner of The Festival 2019. Tickets are available for all four days of The Festival – to book visitwww.cheltenham.co.uk or call 0344 579 3003. To watch the video, visit the Cheltenham Racecourse Facebook page -www.facebook.com/thehomeofjumpracing.